2012 - MAKE IT YOUR FITTEST YEAR EVER! HAPPY NEW YEAR, here's to 2012 and making it your best and most fit year ever. Today you have a clean slate with a brand new year spread out in front of you, filled with endless possibilities. How do you plan to create the best you, and start down the road to the new better YOU. Dr. Maxwell Maltz wrote what is considered the standard in self improvement. The book is called, "The New Psycho-Cybernetics". Dr. Maltz created the original science of self improvement and success, and is considered a pioneer in the field of self improvement. Let's take a look at a few of the key elements of his theories and see how we can apply them to helping you start on your journey of incredible fitness. If you thought that imaginations were only valued in preschool, think again. One of the key points in 'The New Psycho-Cybernetics' is the technique of using your imagination to reprogram and manage your self image. You may have been exposed to self improvement strategies that tell you to 'act as if' or to 'fake it till you make it.' Those typically don't work because your self image is still the same. Negative thoughts will undoubtedly arise as you use your imagination to see your ideal self. "I'm not really going to lose 50 pounds." "I've tried losing weight before and it never works. I'm always going to be overweight." "This imagination stuff is bogus. It won't work for me." Admit it, you've said some or all of these statements. Who hasn't? Dr. Maltz says that the instant you receive a negative thought simply dismiss it. Don't spend any time on it at all. The quicker that you dismiss negative thoughts, the less impact they will have on your self image. Also you'll find that fewer and fewer negative thoughts arise once you get into the habit of dismissing them. It's so easy to recall the past, especially when you only remember the good stuff. But what good does it do for you to wish for things that are long gone? Dr. Maltz recommends looking toward the future. In your imagination you've already lost the 50 pounds, so start wanting that that future now! Your self image will lock onto that picture and your feelings will fuel your drive for success. I'm the kind of person that loves sweets. I'm the kind of person that hates exercise. I'm the kind of person that can't lose weight. I'm the kind of person that eats fresh and healthy food. I'm the kind of person that keeps fit. I'm the kind of person that maintains an ideal body weight. Your self image will fulfill any label that you put on yourself. The power is all in your hands. The real question is what kind of a person do you want to be in 2012? It's really up to you. You're much stronger than you think. 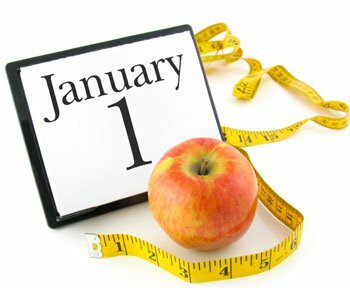 If losing weight is something you'd like to do this year: and you want some help, simply give us a call. I'm the kind of person who LOVES to see clients like you achieve their goals! Remember you can do anything you want to do, you simply have to put your mind to it; and not let anything get in the way of achieving your goal. Positive Mental Attitude wins all of the time. You can do it. Make 2012 the year you start the journey to a fit rest of your life. Let me know how your doing, we're here to help. 2012 is about to get a whole lot more exciting. Make it happen. Sesame Chopped Salad is a great alternative to cole slaw. It not only tastes great, it's good for you. A great combination to start 2012. Let me know how you like it. Chop the cabbage, carrot, onion and cilantro into very small pieces. Add the almonds and toss with dressing. Top with chopped chicken breast.